But now that winter is here, she can't wear her cute little open-toed shoes and sandals. Let's face it: North-Eastern Ohio gets bitterly cold, and her cute little tootsies would turn into popsicles if she wore the shoes that allow her to showcase her painted toenails. That would make for a pretty unhappy, albeit stylish, little girl! And unhappy kids mean an unhappy Mommy! That's why I was so excited to discover Bobbi-Toads! These shoes, that just happen to have an adorable name, have cuteness to match in several fun, vibrant colors and styles. They come in both velcro and tie versions and range in size from 11-5. So these are fantastic for kids around 3+, depending on the size of the child, all the way through elementary school. The best part? They're specifically designed for fashionable girls who like the look of having painted toenails, even if their feet need to be covered to prevent frostbite! Yes. Bobbi-Toads have neat little "toes" with paintable nails! You can use any nail polish on them, but there is a great selection of Bobbi Polish on the Bobbi-Toads website that coordinates perfectly with all of their shoe designs. Mix, match, and do it all over again. Bobbi-Toads can be painted, and then the polish can be removed. This is a great way to encourage little girls to express their moods and emotions through the polish on their Bobbi-Toads! 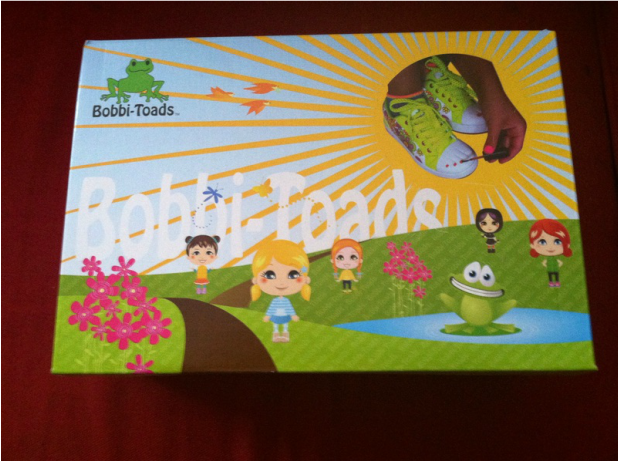 The awesome folks over at Bobbi-Toads sent us a pair of their "Sophie" shoes to review. Which is pretty darn perfect, since I have a Sophie, myself! These shoes are so stinking cute, and feature vibrant pinks and greens, and have hearts on them. These are totally Sophie's style, and match her bubbly, warm personality very well! Yes, even the box is adorable! I love the cheerful little girls and pretty flowers. Oh, and the frog is pretty charming, too! Even the insides of the shoes are colorful and bright. They're also very well padded, making them comfortable for play! I LOVE the hearts on the Sophie design. The colors really pop, and this is a modern, yet feminine design. And of course, there are the toes! These are built right into the toe of the shoe. If they're not painted, you probably wouldn't even notice them. So these shoes can go from ordinary to extraordinary in minutes with the simple addition of nail polish. Sophie helped me polish her Bobbi-Toads, so please forgive the lack of perfection here. I held her hand as steady as I could while she applied some red polish to the toenails. Aren't these adorable?! Sadly, our Bobbi-Toads are just a little too big for Sophie. She can wear them, and they won't come flying off, but they're a bit too large for everyday wear and play just yet. No worries, though. 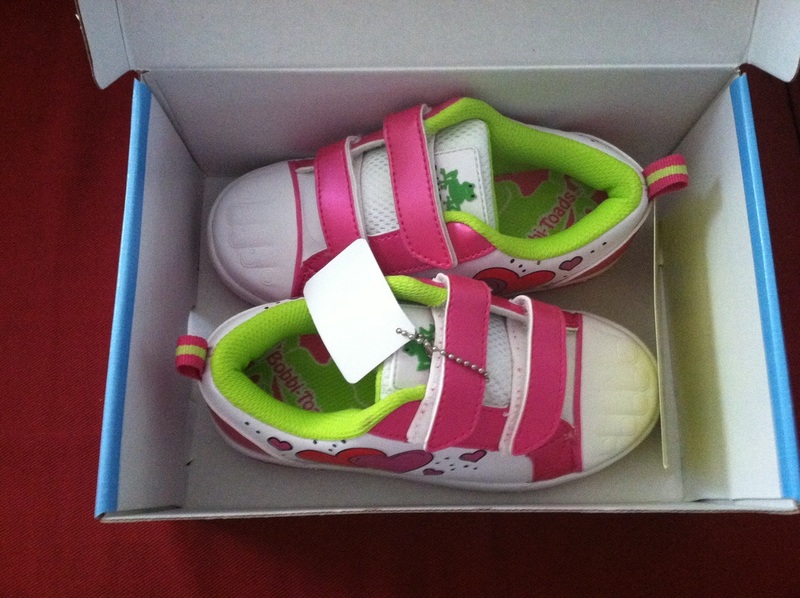 I know that by spring or summer, they should fit perfectly, and she will be the talk of the town in her Bobbi-Toads! For now, I am keeping them safe and away from our 3 rambunctious puppies. I take them out occasionally when Sophie asks to wear them, and she has so much fun prancing around the house showing everyone her toes. Yep, these are absolutely perfect for my very girly little girl. I would definitely recommend Bobbi-Toads to anyone looking for something extra special for their little girls. Most girls adore fashion and feeling pretty, and these shoes add a unique element of fun to footwear. 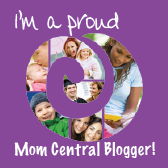 You can check out the awesomeness that is Bobbi-Toads on their website. 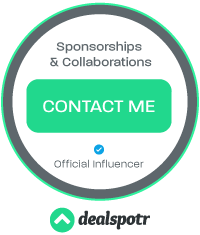 You can also connect with them on Facebook, on twitter, and on Pinterest to stay on top of their latest styles and promotions! I am thrilled to announce that one lucky reader will receive a pair of Bobbi-Toads in their choice of style and size! How cool is that?! This giveaway is open to US residents 18+ until 11:59PM January 10, 2013. No PO Boxes. Winners will be drawn using Rafflecopter's Random Number Generator. All entries will be verified, so play fair! I will notify winner via e-mail and they will have 48 hours to reply before I am forced to redraw winners. No purchase necessary. Void where prohibited. This contest is not affiliated with Facebook in any way. Thanks for entering, and Good Luck! I love the Sasha shoes for my daughter! we like the hilary most! I would get Hillary ones for my little one! I think my daughter would like the Sophie Shoes best! She is all about pink these days. I like the Holly Rae shoes. I would get the Hillary for my daughter. I would get the Hillary. I would get the sophie shoes for my daughter. It would be a toss up btwn the Sophie and the Hillary! Sophie is a cute style. I like Hilary and Sophie styles. I would choose the Hillary style. I like the Sophie shoes. Thanks so much for the fantastic giveaway and happy New Year! I love the sophie shoes! The Hillary is my fave. I would pick Hilary..I really like them.. I like the Hillary and the Sophie! Hillary shoes are the cutest. I'd get the Hilliary for my daughter! Hilary and Sophie styles are my faves. Hilary and Sophie styles are cute, cute, cute. I'd get the Hillary style! I like Hilary and Sophie styles are the cutest. If I won, I would choose the adorable Hillary style! I think the Hillary shoes are very cute. My daughter would like them. Still like the Hillary Shoes But the Rhonda Kaze are cute too.. The Hilary style belongs on my feet. Hilary and Sophie styles are fab. I like the Rhonda Kaze Shoes! The Holly Rae is super cute. Love the polka dot laces. My daughter would love the rhonda kaze! We love the Hillary shoes, they are adorable! I LOVE the Holly Rae shoes! I would choose the Hillary shoes! Thanks!! The Sophie is perfect for my granddaughter. I like the Sophie Shoes. I would choose the Sasha because my daughter loves frogs. I like the Hillary shoe. thank you! I would get my lilttle girl the Holly RAe pair. its a good idea. she is a half tomboy/half diva who while she loves to get dirty has been painint her toenails since she was 3. Love these shoes. I love the Hillary ones! Too cute! I HONESTLY dont know... i dont wanna get my hopes up about it but these are honestly the cutest shoes ive ever seen for little girls! I would choose the Hillary. I would choose Holly Rae for my little girl. Thank you for the opportunity to win. Still like the style Hillary the Best! !